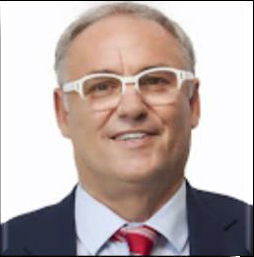 Heinrich Hafner, born in 1955, founded the company Hafner GmbH in Bozen at the age of 23 and has been a successful entrepreneur for about 40 years. “I like to think of myself as a visionary man, with strong convictions and constantly striving for excellence,” Hafner said. He has been a passionate advocate and pioneer of waste to energy, having implemented a number of projects aimed to marry the demands of consumers with the need to protect the environment and mitigate climate change. In the 1980s, he made a major contribution to the implementation of the South Tyrol Waste Management Plant and has since been involved with other high profile projects such as the Mobile Special Waste Incineration Plant which has since gained worldwide recognition in the sector. Meanwhile, his company Hafner Holding Worldwide is active in more than 35 countries and helps companies, municipalities, cities and countries to establish and install inexpensive, clean, alternative energy sources. He has also published two books – the first in 2010 entitled “With Renewable Energy – Waste Is Moving The World” – and the second in 2011, entitled “The Energy Revolution In The Third Millennium”. Both books deal with the current climate and energy crises and pose solutions through opportunities such as energy production through waste incineration. “We need to harness low carbon, resource efficient strategies,” Hafner said. “The climate and health of humans and animals is under threat. There is an increasing demand for energy security and we already have established, successful examples such as South Tyrol which highlight the need for more widespread use of this technology. Since 2012, Hafner’s focus has been in Asia and Africa. Following on from the Paris Climate Protection Agreement, he saw a great opportunity to educate and expand the use of waste to energy solutions. In response, he developed a small waste incinerator SLIM LINE which can be deployed quickly and cost efficiently. The waste management of the past decades left us and the next generations a number of time bombs. The deposit of untreated waste was yesterday. The future is to treat it an economical and ecological way. Our incineration plants make a contribution to our climate and guarantees a safe disposal at the same time.